The number of terror-related arrests in Britain has reached a record high, the Home Office has announced, in a bulletin which highlighted a “steady rise” in “the proportion of prisoners holding far-right ideologies” over recent years. Following the Islamist attacks in London and Manchester, UK terror arrests numbered 441 in the year to April 2018, surging 17 percent from the previous 12 month period, in which 378 individuals were held. 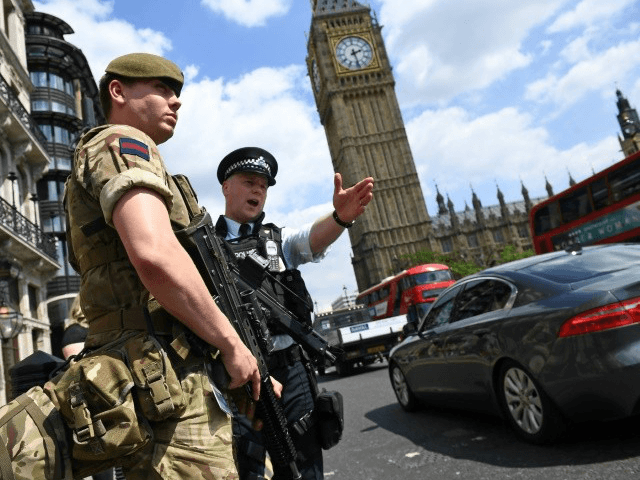 Assistant Commissioner Neil Basu, head of Counter Terrorism Policing in Britain, said officers have seen a “genuine step-change in momentum” since Britain saw nearly 40 people murdered in a series of terror attacks last year. Since March 2017, authorities have prevented 12 terrorist plots and an additional four “extreme right-wing attacks”, the Home Office said, stressing that “there have been steady increases in recent years in the number of terrorist prisoners across all the types of ideologies covered. “The proportion of prisoners holding far-right ideologies has increased steadily over the past three years,” added the bulletin. Of the 228 people currently imprisoned for terrorism-related crimes, 82 percent are Islamist, 13 percent “far right”, and six percent committed offences driven by commitment to “other” ideologies including the Republican movement in Northern Ireland. While British passport-holders made up 68 percent of suspects, Algerian, Pakistani, Iraqi, Afghan, Iranian, Somali, Turkish, Indian, and Irish were the most prominent nationalities amongst aliens arrested. The vast majority of arrests in the last year were of men over the age of 30, with just 56 females and 27 under-18s detained. With regards to suspects’ ethnic background, police recorded 40 percent as South Asian, 34 percent white, and one percent black. “At any one time, there are around 600 active [counter-terror] police investigations, involving some 3,000 people who pose the biggest threat,” police said Tuesday, while it has been revealed that there are an additional 23,000 jihadists who are not under active surveillance but who were reported to authorities as posing a risk to UK security.